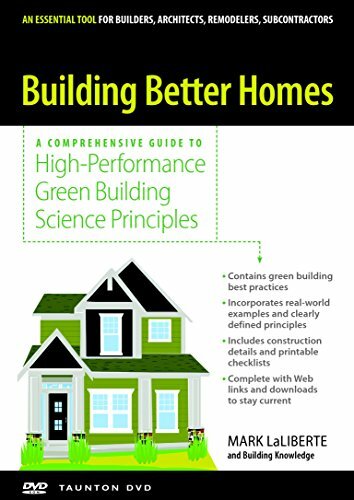 A multi-media training program for builders, architects and remodelers, Building Better Homes is a fully-interactive educational tool that demonstrates how to apply the latest building science tools and techniques to residential home construction. The Building Better Homes interactive DVD-ROM breaks new ground in home construction education by teaching cutting-edge, easy-to-access techniques through hands-on video, close-up photos, animation and step-by-step instructions. The program follows the entire construction process step-by-step, with photos of construction details, installation video clips, technical animations, and six hours of interactive construction content. Printable construction drawings, checklists and work forms can be put to use immediately by supervisors, foremen and subcontractors.